The Chief Minister of Delhi Arvind Kejriwal has urged the citizens to plant trees. This is as part of a Mega Plantation Drive initiated by the Delhi Government. The objective of the Plantation Drive is to make Delhi green and pollution free. 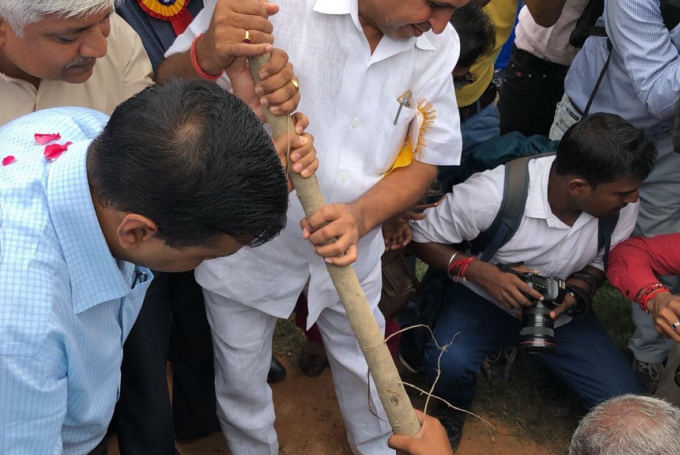 More than 5 lakh saplings are being planted in different parts of the city. Schools are also making arrangement to ensure that more and more students participate. Image courtesy AAP. Last updated by DG Correspondent at September 8, 2018 .